When it comes to purchasing your dream home, you want it all. You want beautiful design, exceptional quality and great customer service — all at an affordable price. That’s why Perry Homes is the smart choice. Our featured builder has the highest customer service satisfaction rating in the industry with more than 50 years in the business. Perry also offers peace of mind with their five-step process that includes superior design, a trusted reputation, energy efficiency, multiple-step quality assurance and a two-year warranty. Perry constantly innovates, studying the latest in architectural design, building science and trends to create modern, functional homes that make life easier for the families that live in them. Take their commitment to smart technology. Every Perry home offers standard smart technology features such as smart thermostats, light switches and video doorbells. All of which translates to top-of-the-line safety and convenience for you and your family at no extra cost. Perry builds in two Trinity Falls neighborhoods. Homes on 45-foot homesites are priced from the $290,000s. You can choose from 13 floor plans ranging from 1,600 to 2,600 square feet. These designs boast sophisticated touches including elegant ceilings, two-story family rooms and walls of windows. Options fit your lifestyle. Does your family live outdoors? Add a summer kitchen. Is movie night a thing? Add a media room. Homes on 50-foot properties range from 2,400 to 3,400 square feet and are priced from the $330,000s. The dozen-plus floor plans feature private master suites with luxury baths, libraries, island kitchens and more. You can see the dozens of sophisticated floor plans Perry offers at the builder’s model homes. 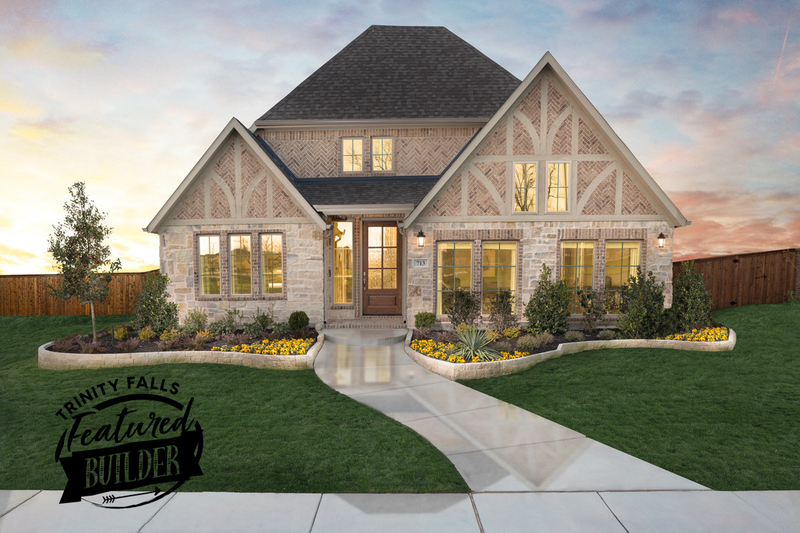 Come see why Perry Homes and Trinity Falls are the smart choice for your family.